Jessica Bauer, Master of Nursing, recipient of the CIHR Frederick Banting and Charles Best Canada Graduate Scholarship. Four exceptional TRU graduate students will share in federal entrance scholarships valued at a total of $70,000. The Canada Graduate Scholarship-Master’s (CGS-M) program support students who show a high standard of achievement in undergraduate and early graduate studies. Applications are evaluated based on academic excellence and research potential. The scholarships are valued at $17,500 each, and were awarded by the Canadian Institutes of Health Research (CIHR), the Natural Sciences and Engineering Research Council of Canada (NSERC), and two were awarded from the Social Sciences and Humanities Research Council (SSHRC). These awards mark a significant federal investment in TRU’s graduate students and a validation of our graduate programming. Rhyannon Garant, Master of Education, SSHRC Joseph-Armand Bombardier Scholarship. Garant’s research focuses on the narratives of Indigenous female leadership within education organizations. Jessica Bauer, Master of Nursing, CIHR Frederick Banting and Charles Best Canada Graduate Scholarships. Bauer will explore Syrian refugee women’s unique viewpoints around mental health and mental health services, and the cultural, social, economic and political factors that shape these viewpoints. Justin Mufford, Master of Science in Environmental Science, NSERC Alexander Graham Bell Scholarship. Mufford’s research explores heat stress in beef cattle. Pate Neumann, Master of Science in Environmental Science, SSHRC Joseph-Armand Bombardier Scholarship. Neumann’s research focuses on sustainable management practices for multi-use backcountry trails. 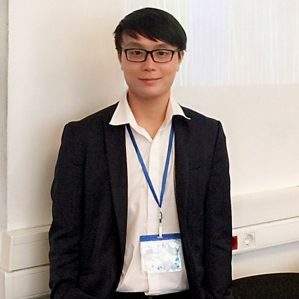 “Having this achievement reminds me how far I have progressed since I started my undergraduate degree, which helps me to keep pushing myself to learn and improve,” said Mufford. 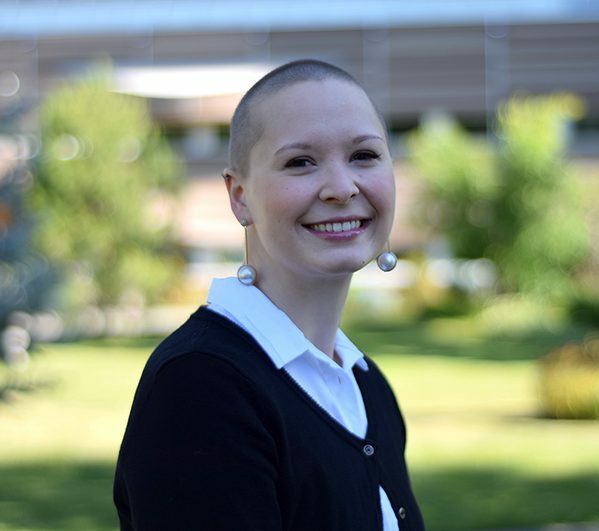 “Besides significantly lightening the financial burden of graduate school, winning the CGS-M was an amazing affirmation that if I put my mind to something I can accomplish it,” said Bauer, who is TRU’s first CGS-M recipient from its new Master of Nursing program. 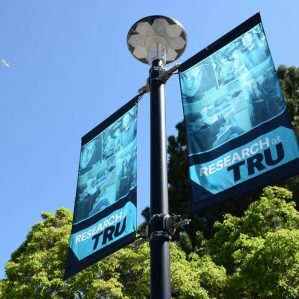 This funding is allocated based on the value of federal research grants coming into an institution, and is recalculated every two years, meaning that as TRU’s research profile grows and more researchers are successful in their bid for federal funding, more graduate scholarships will become available. 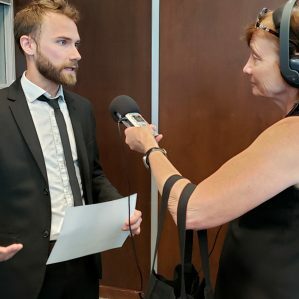 Earlier this month, the Province of BC announced a new, $180,000 graduate student scholarship fund to support TRU students in priority areas including science and technology.